Home / Blog / Camino Primitivo / What is the Camino Primitivo? What is the Camino Primitivo? 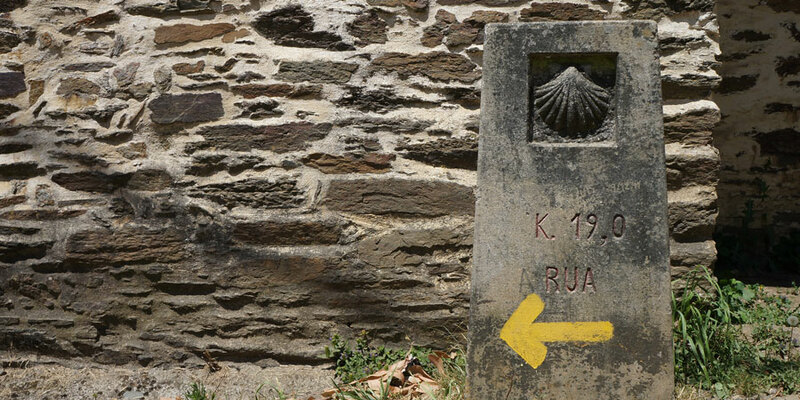 While it is not most well known, the Camino Primitivo is the oldest of the Camino pilgrim routes to Santiago de Compostela, hence its name, which translates as the ‘Original Way’. King Alfonso II the Chaste was the first ever pilgrim on this route. He walked from the city of Oviedo, in Asturias, to Santiago in the 9th century with a mission: to confirm the remains found in Santiago were indeed those of St James the Apostle. In a way, we can say King Alfonso II wasn’t just the first ever Camino pilgrim but could nearly claim the title of creator of the Camino. At the time Oviedo was the capital of the Kingdom of Asturias and the King’s pilgrimage inspired many others to make the journey to Santiago de Compostela. Pilgrims on the Camino Primitivo came not only from Asturias and other parts of Northern Spain but from further afield and overseas. Pilgrims from northern countries would travel by sea and land on the Northern shores of Spain before continuing their journey on foot. 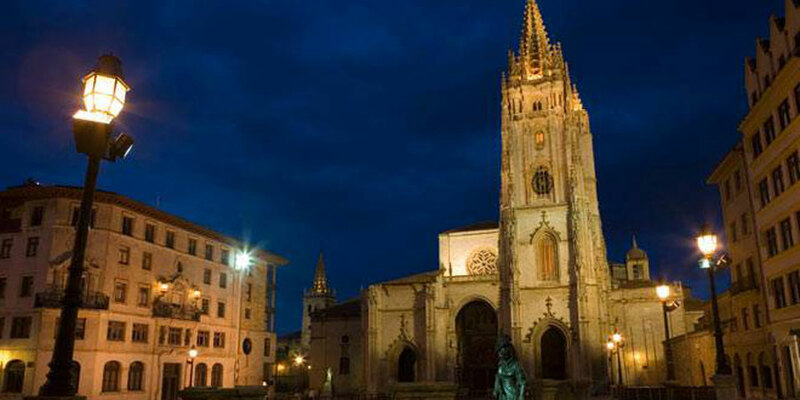 Once the capital of the Kingdom was moved to Leon, however, the Camino Frances took over as the main route to Santiago for pilgrims from the 11th century; but many pilgrims still chose to visit Oviedo San Salvador Cathedral, a pilgrimage destination in its own right. The ‘Saviour’ Cathedral is home to a shroud believed to have been used to wrap Christ’s head after his death. Today, less than 5% of pilgrims to Santiago choose the Camino Primitivo (13,684 in 2017 for instance) as their route. 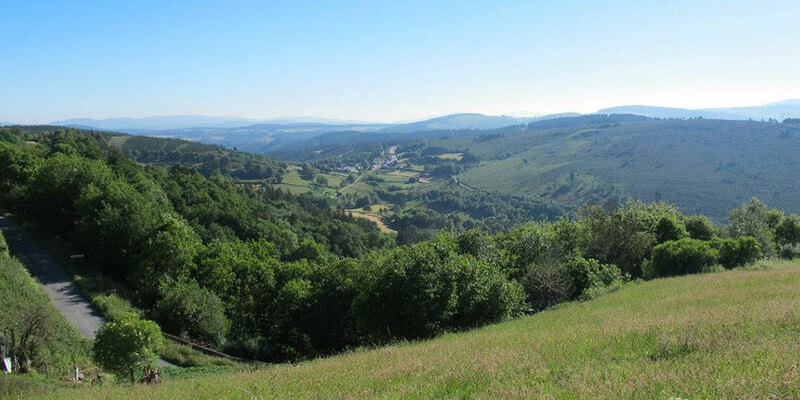 Its mountainous and challenging terrain make it a difficult trail for Camino newbies but perfect for adventurous pilgrims and those looking for a more rustic Camino experience. The trail is still wonderfully rugged, rural and untouched in many parts, particularly the first section of the trail from Oviedo to Lugo. 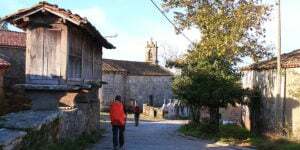 As you walk the quiet tracks and forests of the Camino Primitivo you will nearly feel as if you are stepping back in time. If you are not sure this challenge will be manageable but still would like to discover the first ever Camino route, don’t worry, you can start your journey from the city of Lugo and skip the mountainous and rural section of the trail. 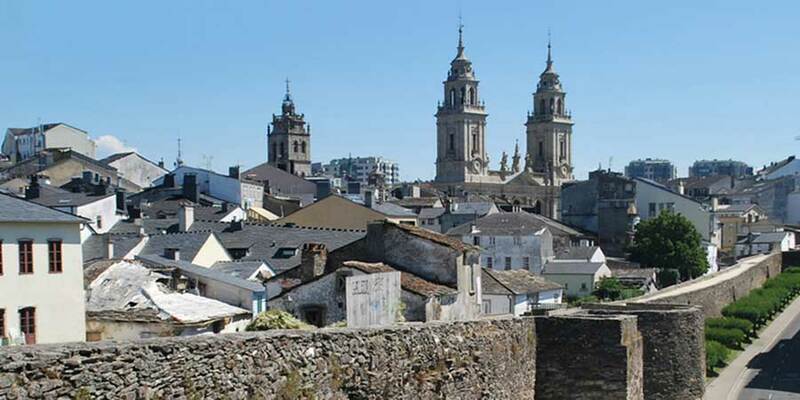 Lugo is a great little city packed with things to do, see and taste. It is located over 100kms away from Santiago, so it will mean you can get your Compostela certificate. It will take you two weeks approximately to walk the full Camino Primitivo from Oviedo, which is 311kms. We recommend you take at least one rest day approximately after the first week (Lugo will be a good spot for a rest day). If you rather only walk from Lugo, you can complete the trail in just one week. The Camino Primitivo, along with the Camino del Norte, is listed as a UNESCO World Heritage Site since 2015. Thank you for sharing your experience, Arie! We are delighted to hear you loved it. Just finished hiking the first part of the Camino Primitivo (Oviedo to Lugo) with my daughter and fell in love with the Camino; it’s people and the province of Asturias. Would love to revisit this part of Spain and walk another Camino.